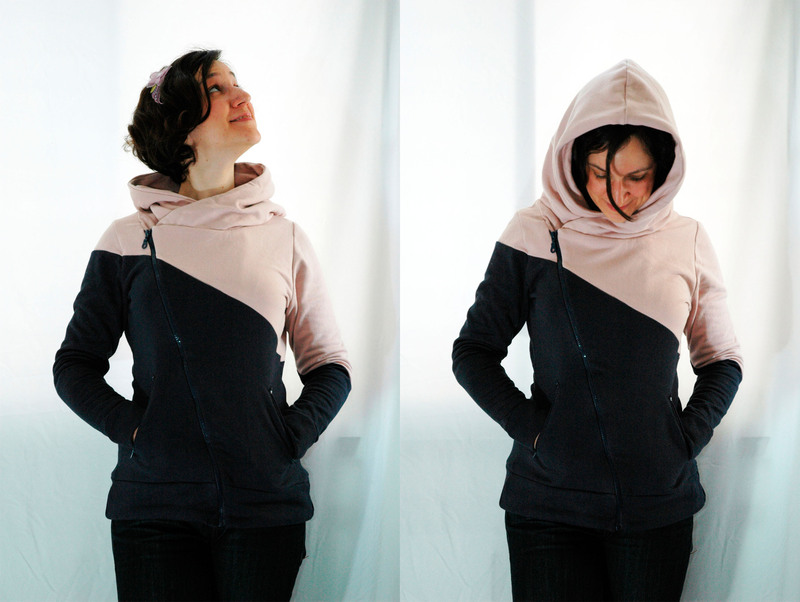 I finally completed the asymmetrical hoodie that I was working on. I can proudly wear it during cold beach days now 🙂 You can read about the preparations, the kind of fabric used and other details here. 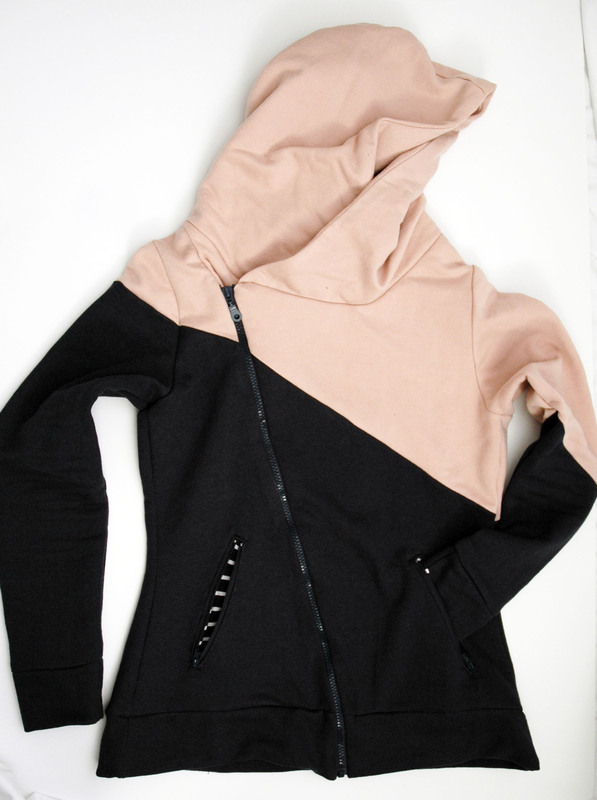 This hoodie took longer than expected because of its details. First of all, I used two different contrasting colors in the front and the back which meant that I had to divide the pattern pieces into more pieces. It is funny how sewing sometimes feels like you are trying to complete a puzzle. Well, this one surely did! The zippered pockets also took a long time. I love jacket linings and pockets which have stripes or contrasting colors. 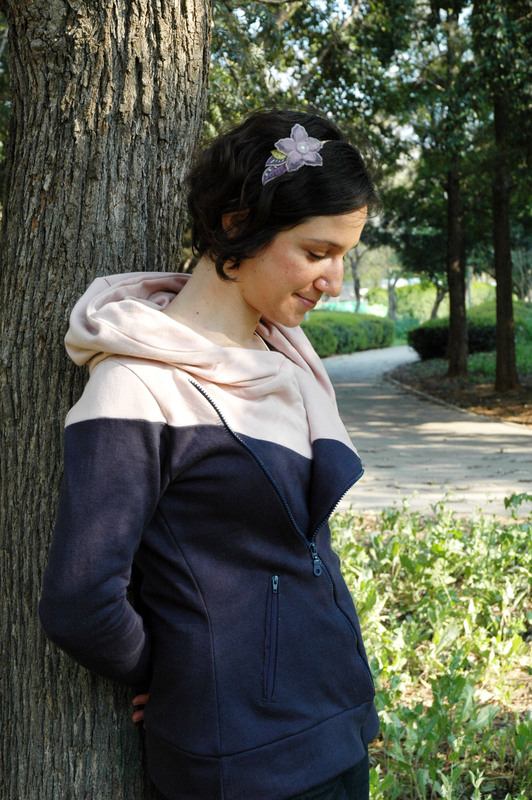 Therefore, I used a different kind of knit fabric with stripes for the pockets of this hoodie. You can see the details below. 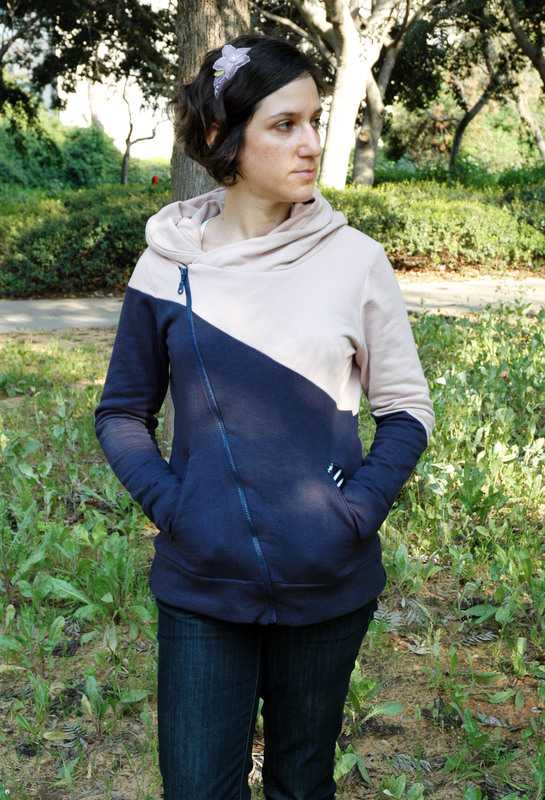 Another thing with this hoodie, its colors change in different light settings because of the dark navy blue fabric used. Inside, it looks more like black while outside it reflects more of a navy blue. Next articleGood to Know"Noone tells you in a design school that you will be alone in the studio all the time." That hoodie is awesome!!!!! I love it!! I really liked it, hope you will start selling them one day! I love it. In fact, I am putting in my order for one!